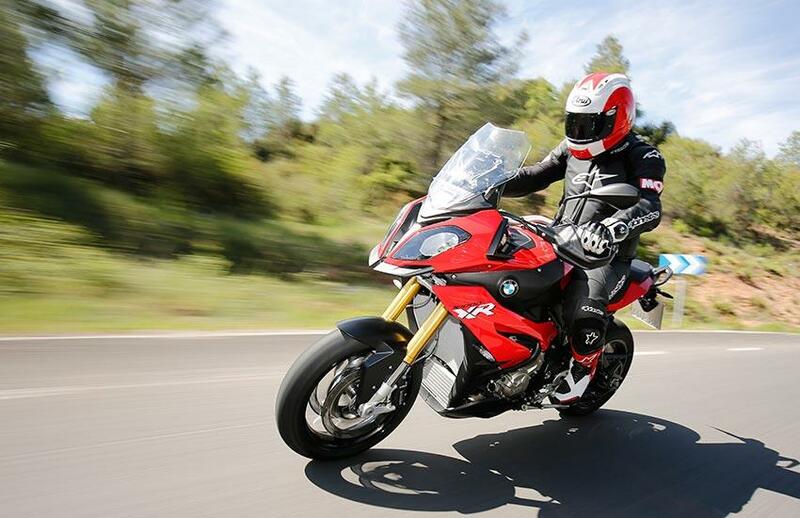 MCN has finished riding on the world launch of the latest addition to BMW’s S1000 family – the S1000XR, a bike the German manufacturer dubs ‘Adventure Sports’ by blending the ‘DNA’ of its hugely successful 1200GS Adventure bike and the S1000RR superbike. The S1000XR is one of the most eagerly-awaited bikes of 2015 and on spec alone it’s easy to see why: BMW is already the world’s leading adventure bike manufacturer with its definitive R1200GS remaining a best seller both in the UK and Europe. In fact, BMW not only knows a bit about adventure bikes it can rightly claim to have invented the breed, first with the original R80G/S and more recently with its Adventure versions. At the same time the Bavarian marque’s S1000RR, now into its third generation, has been, arguably, the world’s leading sports bike since 2011 thanks to its mix of class-leading power and electronics. 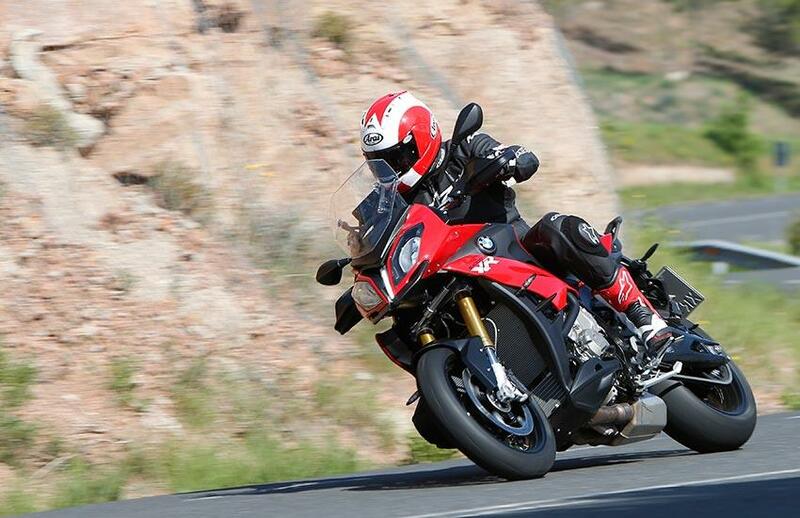 So the idea of blending both to create an ‘Adventure Sports’ machine, one with the image, touring comfort and practicality of the GS, but with the sports appeal and dynamism of the S1000RR seems something of a win-win ‘no brainer’. And judging by the interest the resultant bike seems to be creating and reports that the initial UK allocation is already almost sold out, the buying public seems to agree – and that’s without having ridden it. There are no real surprises or mysteries about how the XR has been created. 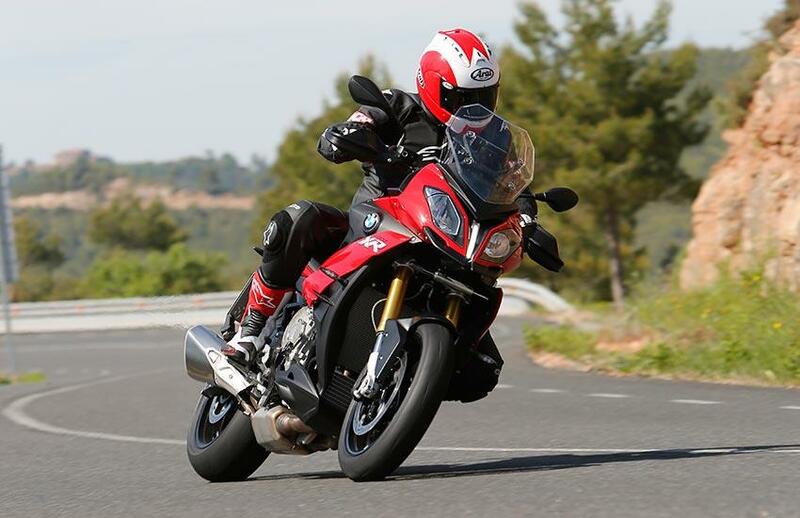 In simple terms it’s based on the S1000R, the naked, ‘detuned’ (but still 160bhp) version of the 198bhp S1000RR superbike but with a roomier, stronger chassis (for luggage/passengers), longer travel suspension (for that adventure bike posture, styling/bodywork that’s derivative of both RR and GS (so, yes, there are ‘shark gills’ and a ‘beak’ and all sprinkled with BMW’s trademark quality, adjustable ergonomics (different seat heights are available) and class-leading electronic rider aids. All of that, as promised, is mouth-watering enough. Better still, I can now say having ridden it, is how well all those seemingly disparate elements work together, how thrilling and fast this tall, upright machine is and, simply, how damn brilliant the XR really is. From the beginning of our test route near Barcelona there was immediately no doubt that the XR is both a proper, adventure-style machine ­– it’s a tall, substantial bike with bars that brace your arms wide behind a meaty fairing complete with hand-adjustable, two-position screen – but it’s also one with the heart of a snarling beast. Don’t get me wrong: the XR’s not intimidating. Optional seat heights mean most can get their feet flat, a low-ish CofG and good manageability makes feet-up U-turns a breeze, while that retuned 999cc four pulls smooth and steady from as little as two thou’. If you can the hand guards through the gaps it’s a decent city bike. Out into the country it’s clear it’s a much better than average commuter or tourer, too. The seat particularly impressed, cosseting and proving all-day comfy; the adjustable screen works OK (although, for some reason, I could only raise it on the move with my right, not left, hand, which brought its own awkwardness), the S1000R-derived clocks, with analogue tacho and conjoined LCD display for everything else, are decent enough and, between 4 and 7000rpm, that motor is a sheer grunt-meister, bounding forward with an immediacy only matched by its calm ease. But it’s when you thrash and thrape above that where the XR truly comes into its own and almost certainly sets the new standard for this type of machine. Prod the optional ESA (Electronics Suspension Adjustment) into ‘Dynamic’ to firm up the whole plot (the rest of the time, the ‘Road’ setting gives a plush enough ride), stab down one on the auto-blipper/quickshift-equipped gearlever and give the XR a fistful and it simply lunges towards the horizon like no adventure bike before. At those revs the XR howls like a track bike, gobbles up gears as fast as the quickshifter can feed them (150mph+ is likely) and, simply, takes no prisoners. Plenty of sportsbikes are set to be shamed by the XR, I guarantee. But best of all is how composed, precise and quick-enough steering the XR is in the bends, too. Our ride was punctuated to a ridiculous, hilarious degree by ravine and coll-clinging curve and hairpin after curve and hairpin, for mile upon mile upon mile. Virtually any other ‘adventure bike’ I can think of would have wavered and wallowed, ultimately toiled and simply tired its rider out. Not so the XR. Sure, ultimately you’re on a high and wide-barred trailie, but it’s one that simply loves to attack turns, remains fabulously composed whatever you throw at it, has true sports brakes, enough electronics for any sports connoisseur and, because of it all, is an absolute hoot. On this experience, the XR isn’t just a bike for all reasons, I’m struggling to think of any reason why you wouldn’t want one. Prices, TBC, are set to start around £13K for the bog basic that no-one will want, the around 15 for the fully-loaded variants.